to transact business with you. company, how do you proceed to register your business in Nigeria? Take your time to come up with a suitable name your business, Your Business name should highly related to the product you want to produce/sale and/or services you want to offer. If you are still brain storming for a business plan, Contact us and speak to our professional business plan writers in Nigeria and let us help you make the best decision regarding lucrative business ides in Nigeria. Visit Corporate Affairs Commission (CAC) after some days: business name search usually takes about a week. If your business name is not available you repeat step 1-3. If your proposed business is available, Collect another form called Registration of Business Name (Form001), fill it and proceed to payment of the registration fee which at this time cost N10, 000 only. Upon payment of the registration fee, collect affidavit/attestation form and proceed to the any magistrate court nearer to you for endorsement by the court magistrate. Here you will pay N250 only as court fees. Collect your business name certificate of registration. 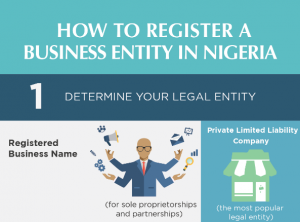 You are done with business name registration in Nigeria. You can then think about incorporating it to either Ltd or PLC. Note: There is a 99% possibility that someone may have registered some of the popular business name phrase you might come up with, the key to getting a available name is been unique and uncommon. Collect business name certificate of registration. At this point,You are done with business name registration in Nigeria and you can be rest assured that no body can steal your business name from you.